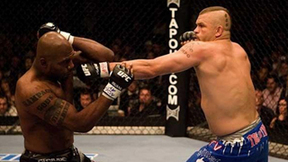 Chuck Liddell had been on a tear, winning his previous 7 fights before encountering Quinton Jackson at UFC 71. 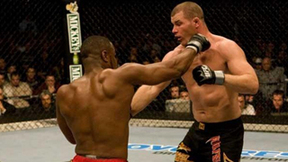 The last man to beat him was "Rampage" Jackson when the two squared off in Pride. Liddell had revenge on his mind but Jackson wanted nothing more than to continue his winning ways over 'The Iceman'. 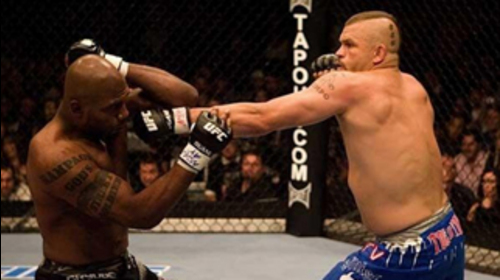 Rampage Jackson vs Chuck Liddell UFC 71 Sat, May 26, 2007 (22:36) Chuck Liddell had been on a tear, winning his previous seven fights before encountering Rampage Jackson at UFC 71. 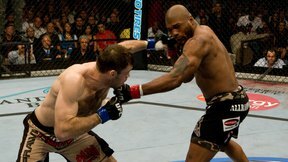 The last man to beat him was indeed Rampage when the two squared off in Pride. Liddell had revenge on his mind, but Jackson wanted nothing more than to continue his winning ways over 'The Iceman'. 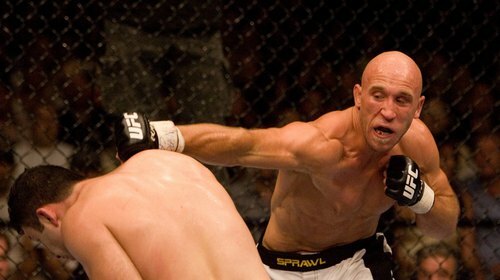 Karo Parisyan vs Josh Burkman UFC 71 Sat, May 26, 2007 (30:42) Ultimate Fighter Season 2 veteran Josh Burkman was a high school football player turned wrestler, and eventually professional fighter, finding success there. Armenian Karo Parisyan, a decorated judoka, also found success there, now looking at a 16-4 rep.
Terry Martin vs Ivan Salaverry UFC 71 Sat, May 26, 2007 (12:06) Chicago, Illinois native Terry martin isn't in the habit of leaving his fights to the judges - he'd prefer to stop his opponents, and has done so for all of his victories but one. 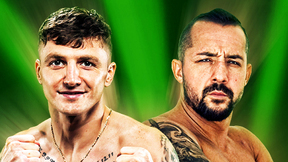 He'll take on another exciting fighter Ivan Salaverry, a finisher too. Houston Alexander vs Keith Jardine UFC 71 Sat, May 26, 2007 (11:56) Houston Alexander was looking to make a name for himself in his Octagon debut against 'The Dean of Mean' Keith Jardine at UFC® 71. It didn’t take Alexander long to establish he meant business in the UFC® with a TKO in less than a minute. Kalib Starnes vs Chris Leben UFC 71 Sat, May 26, 2007 (28:30) Kalib Starnes and Chirs Leben both came into this fight in desperate need of a win. 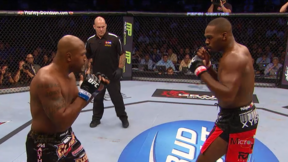 This fight went the distance with both fighters giving it all they had. Thiago Silva vs James Irvin UFC 71 Sat, May 26, 2007 (10:29) Thiago Silva is ready for what will for sure be a stand up war against James 'The Sandman' Irvin at UFC 71. Alan Belcher vs Sean Salmon UFC 71 Sat, May 26, 2007 (11:50) Alan Belcher comes in on just two weeks notice to replace the injured Eric Schafer against Sean Salmon at UFC 71. Din Thomas vs Jeremy Stephens UFC 71 Sat, May 26, 2007 (19:03) Lightweight contender Din Thomas welcomed Jeremy Stephens to the Octagon at UFC 71. 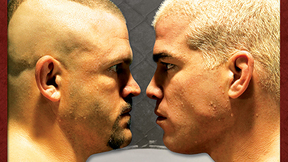 Wilson Gouveia vs Carmelo Marrero UFC 71 Sat, May 26, 2007 (13:17) Fighting out of the hotbed Fortaleza, Brazil, Wilson Gouveia has only fought 3 bouts in the Octagon, but has already showed impressive ground game submissions. 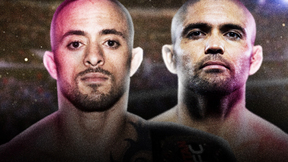 Carmelo Marrero has his own talents, like handing the great Kongo his 1st loss in the UFC.